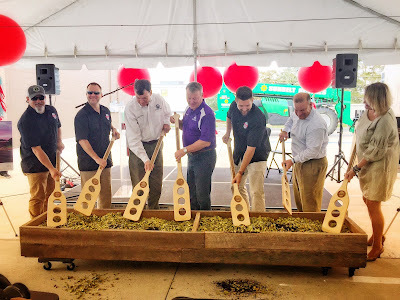 Ivanhoe Park Brewing Company, an independent craft brewery and tasting room in Orlando, Fla. hosted its groundbreaking ceremony on Friday, October 13, 2017. 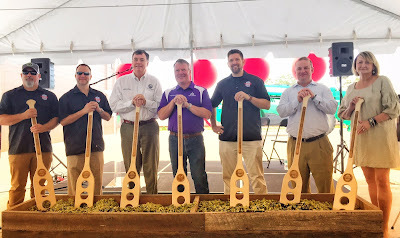 Mayor Buddy Dyer and Commissioner Robert Stuart both spoke at the event and participated in the groundbreaking ceremony, which was a nice play on tradition. Mash paddles replaced shovels and, together, the group broke into a bed of hops, rather than dirt. The ceremony was well organized and displayed thoughtfulness and class--something to look forward to in their beers as well. The brewery is targeting an open date of Spring 2018. Located in Ivanhoe Village, one of Orlando’s Main Street districts, the brewery will open with a tasting room and distribution capacity of 1,450 barrels per year initially with significant room for expansion. Ivanhoe Park Brewing Company celebrates the pioneering spirit of early 20th century Lake Ivanhoe founder, George Russell. Ivanhoe Park previously served as home to beautifully lined orange groves and a pineapple farm, and was later named Joyland, an amusement and recreational park. 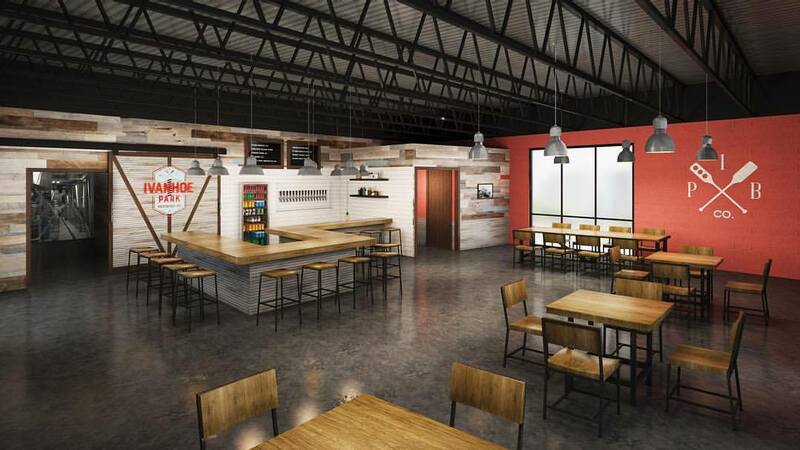 To start, Ivanhoe Park Brewing will focus on three core beers offered year-round, in addition to other seasonal varieties, with names like Bungalower Belgian Witbier, Joyland IPA and Toboggan Blonde Ale to honor the area’s rich history. Founded by Glenn Closson, former owner of Beach City Brewing in California (its assets were acquired by Beachwood Brewing when Closson relocated to Orlando), the brewery is funded by individual investors predominately based in Central Florida. Recent changes to Orlando’s City Planning regulations were the driving force that compelled Closson to open Ivanhoe Park Brewing. 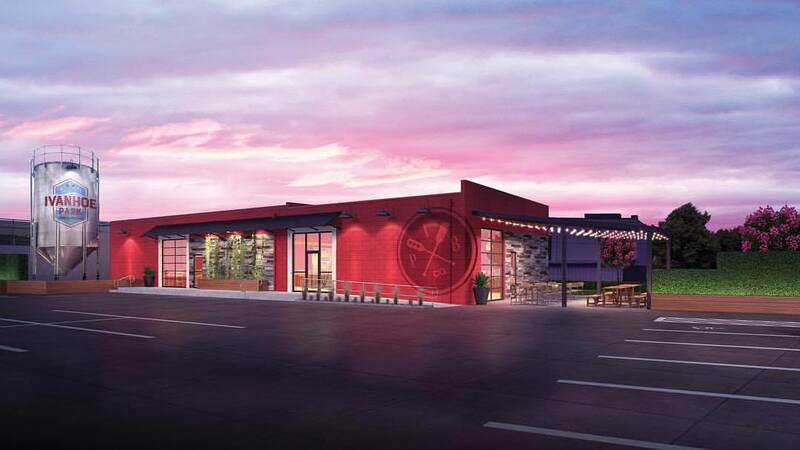 McCree General Contractor & Architects is leading the construction efforts and Ivanhoe Park Brewing is scheduled to open Spring 2018. 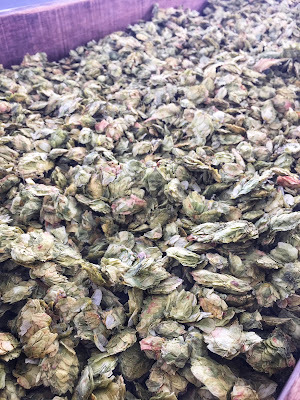 Ivanhoe Park Brewing Company is an independent craft brewery that celebrates the pioneering spirit of early 20th century Lake Ivanhoe founder, George Russell. Ivanhoe Park previously served as home to beautifully lined orange groves and a pineapple farm, and was later named Joyland, an amusement and recreational park. Connecting Orlando's illustrious past to our brewery’s commitment to community, education and the use of quality ingredients, Ivanhoe Park Brewing Company seeks to make craft beer accessible and approachable.